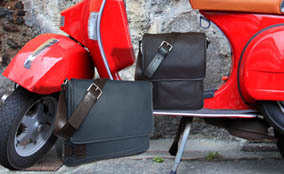 A great range of Italian designer messenger bags for both men and women. Each is handcrafted in the finest quality Italian leathers by Italian designers such as Boldrini, Pratesi, Chiarugi, Pellevera and Roncato. Each messenger bag is chosen for their function, comfort and style whether for work or play you will look the part each time you put it on for a trip across town.